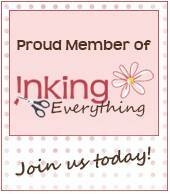 Here is a really cute video from Stampin' Up! 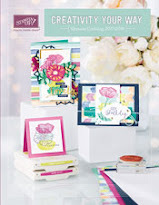 to get you excited about the new products in the Occasions catalog. The selling period for this catalog is January 4th - May 31st. 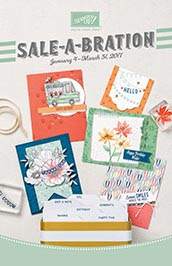 Sale-A-Bration also begins on January 4th! Who's ready for some FREE product? For each $50 you spend, you can select one of the items from the Sale-a-bration catalog for FREE. Click on the catalog below to check it out now! If you do not have a demonstrator and would like a copy of the Occasions and Sale-a-bration catalogs, I'd be happy to send you one of each. Please leave me a message or send me an email.